This colorful anatomical chart details the anatomy of the female genital organs. The important anatomical structures are pictured and labeled on this chart. 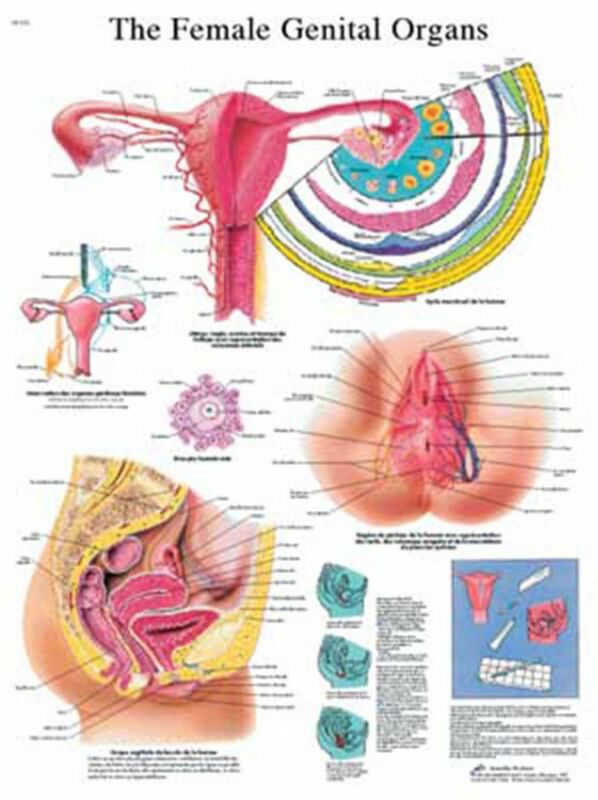 The microanatomy of the ovaries and other areas of the female genital organs are also displayed in this poster. Some methods of contraception are detailed on the chart as well. This poster is great for any classroom or doctor's office where the anatomy of the female genital organs are of interest.